We spent the day touring our own city, first adoring the skaters etching Bryant Park behind the New York Public Library, then up Fifth Ave. past the Saks windows to Rockefeller Center and the giant tree and still more skaters. 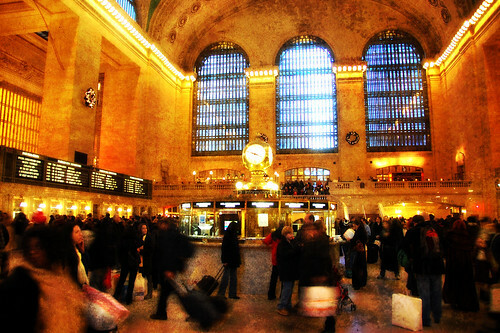 The cold overtook the kids, and we headed east towards Grand Central, a snack, and the subway home. On the way, just across Fifth, my lovely wife suggested we warm and rest ourselves for just a moment in St. Patrick's Cathedral. We haven't gone to church all that much, and Q and The Boy found themselves awed by the space, just like they're supposed to. (Q said, "I wonder who could touch the ceiling!") We picked a pew, and watched hundreds of people flow in and out. "They have books here," The Boy said. Q had just made a stained-glass-type artwork in school, and she was particularly drawn to the windows. "The windows are beautiful," I whispered to her. "They tell stories" — stories that I don't remember probably as well as I should. Q and The Boy sleep now; we finish wrapping the last of their gifts. I don't think I believe much in divinities any more, and perhaps never did. I do, though, believe in belief. Watching those lighting candles in transepts for the loved or carting boxes under the constellations in Grand Central or the kids struggling to wait for a myth, I see what believing can do. For me, that is the greater wonder. I've been working on the mysteries of belief from the opposite angle, the place where the power of belief meets the rack and the stake and the fire--where it becomes an impulse to destroy instead of to build. But even when it destroys, it's rooted in the search for something true. And as long as I've worked on these problems, I never lose that awed sense of how radically--even frightfully--transformative it can be. Thanks for a great post and happy holidays. Great post! 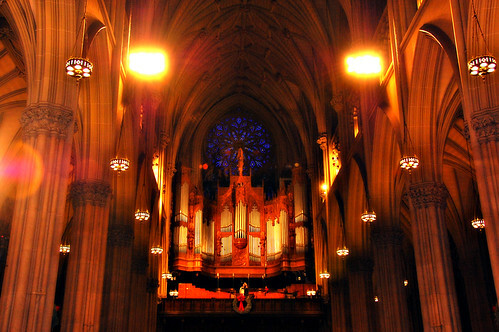 Glad you enjoyed St. Patrick's Cathedral. I myself go there quite often during the week, since it's near my office. I've always loved it.